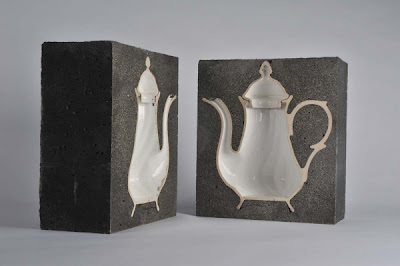 Rolf has a series of everyday porcelain objects that have been embedded in concrete and then cut in half to form unique pieces of art. Fittingly enough, the line is called Cutting Porcelain, and here's what a porcelain teapot looks like from the series. Beautiful! 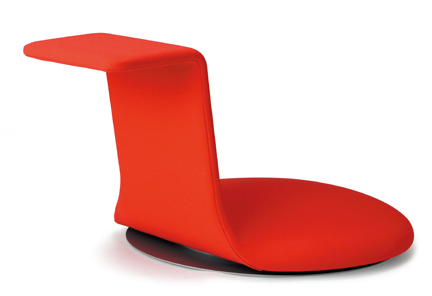 It's not often I'm going to applaud a chair that costs $2,039 and doesn't even have legs, but I'll make an exception for Dodo. This falls into the extremely limited "floor level seating" category along the lines of Japanese Zaisu chairs, but adds a touch of contemporary western office design. For instance...it swivels! Woohoo! And the backrest doubles as a working surface that can hold a laptop if you happen to be sitting in a regular chair. 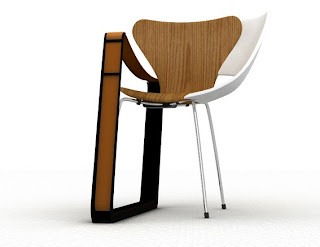 I don't know how many people actually want a chair that makes you feel like you're sitting on a an expensive floor, but if you do, definitely check this one out. T.M. Schmid sent over this amazing chair creation that, if I'm reading the Web site correctly, was made back in 2007. I can't find any details about it but really I don't need any. I can see all of its awesomeness just from the picture. And now so can you. Enjoy! I admit when the folks over at Terra Furnishings sent me a generic e-mail asking me to check out their site, I was dubious I'd see something funky there that I liked. I think Eco is great, but it usually isn't as weird as I tend to like my furniture and furnishings. 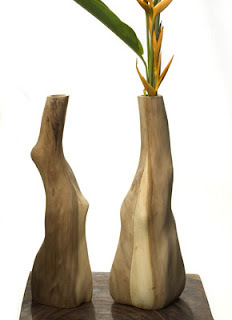 But surprise, the Natural Vase fits the bill for me, and I think plays well in either a funky way or a more-toned-down-but-still-modern style. Not cheap at $65, but also not outrageous. Funfurde approved! Saltside Out is one of those ironic home accessories that subverts the natural order of things. In this case, the common saltshaker. Using hand-blown borosilicate glass, Jason Amendolara created a saltshaker that looks like it contains a saltshaker (yes, you read that correctly), so the salt appears to come from outside the shaker, not inside it. Follow that? If not, just look at the picture and you'll get it. Then you can get Saltside Out for just $18. 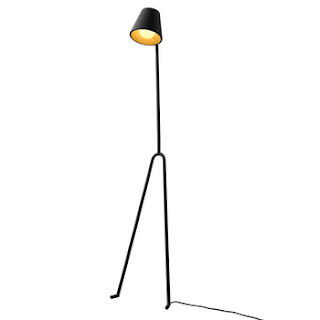 The Manana started out as a stick-figure like drawing in the sketchbook of Marie-Louise Gustafsson and ended up being a stylish yet laid back floor light designed to lean against a wall. It's 5'6" tall, covered in graphite gray lacquer (an homage to its start as a pencil sketch) and costs $239. Not a bad price for good design, really. Peter Locke has a pretty wonderful and reasonably affordable idea to turn your boring old refrigerator into a gorgeous piece of art. 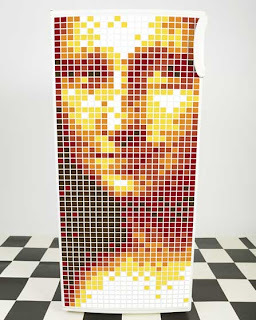 He's created a set of 1296 colored magnets called Motifo that act like giant, colored pixels you can arrange and rearrange to create giant, vibrant mosaic imagery on your fridge door (or side, or top, or wherever else you can stick magnets to for that matter). The set comes with "six funky designs and full instructions" for creating them, and apparently many more are available on request. At $99 and with free shipping, I'm kind of in love with this idea.